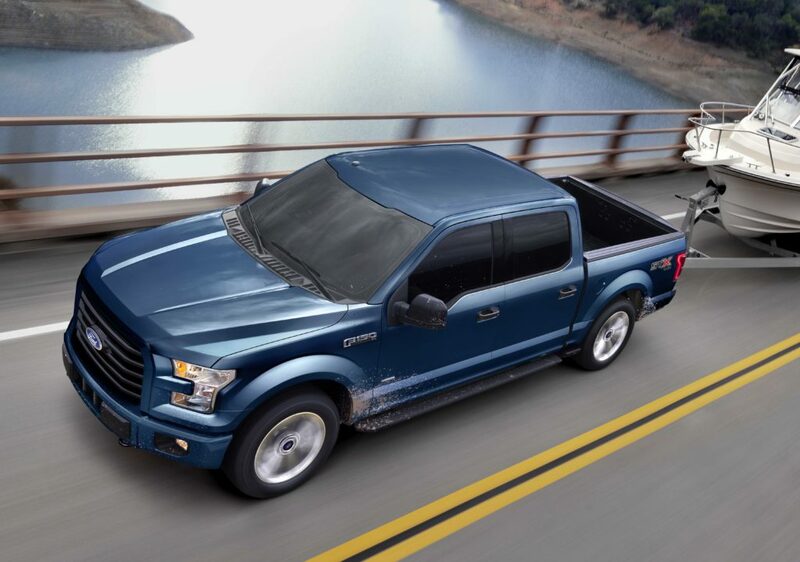 Ford’s new On Target collision repair newsletter carries a couple of helpful considerations related to fixing a 2015-18 aluminum F-150 roof and 2018 Expedition window moldings. Obviously, you’ll need to check the actual Ford Service Info repair procedures, the titles of which are provided in the On Target excerpts. But the excerpts from the two sets of instructions are a good taste of what it takes to do that work — and what work you aren’t allowed to do. For example, the On Target instructions for a 2015-18 F-150 roof panel removal — you’ll have to tune in next On Target for how to install a new one, Ford says — warn about the effects of heat on aluminum and adhesives. 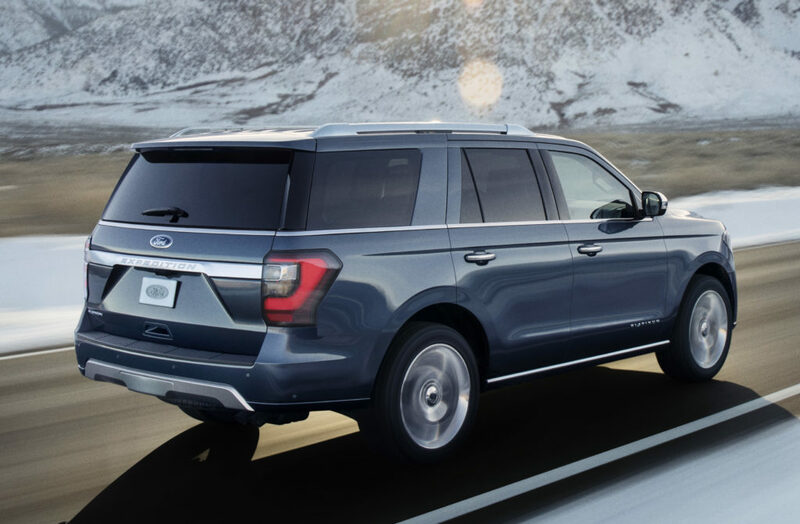 The OEM also provided another interesting rule of thumb on 2018 Ford Expedition front- and rear-window moldings. The OEM picked the roof because of the infamous John Eagle Collision case in Texas, in which a jury determined that a repairer’s failure to follow Honda OEM roof replacement repair procedures was responsible for the severity of an crash. The On Target also is noteworthy for giving collision repairers a look at a calibration that doesn’t get a lot of attention: how to ensure a heads-up display appears in the right spot on a windshield. 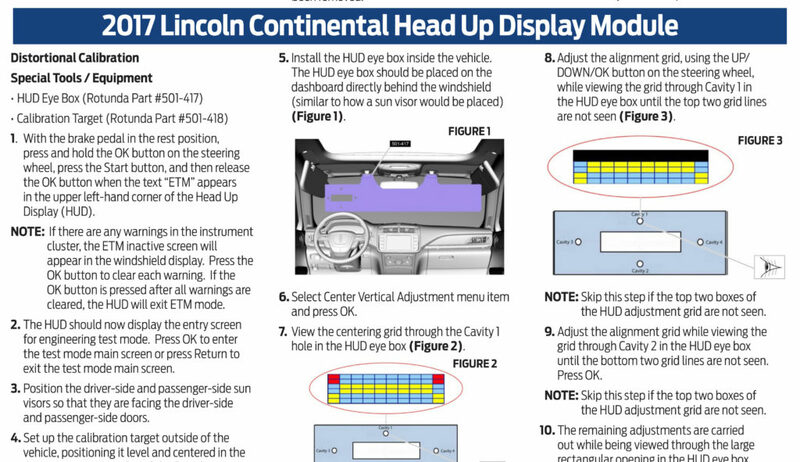 Ford presents instructions for recalibrating a 2017 Lincoln Continental HUD. It’s unclear which trims had the tech that model year, but the 2018 version offers it as an optional on the Continental Reserve and standard on the Continental Black Label. 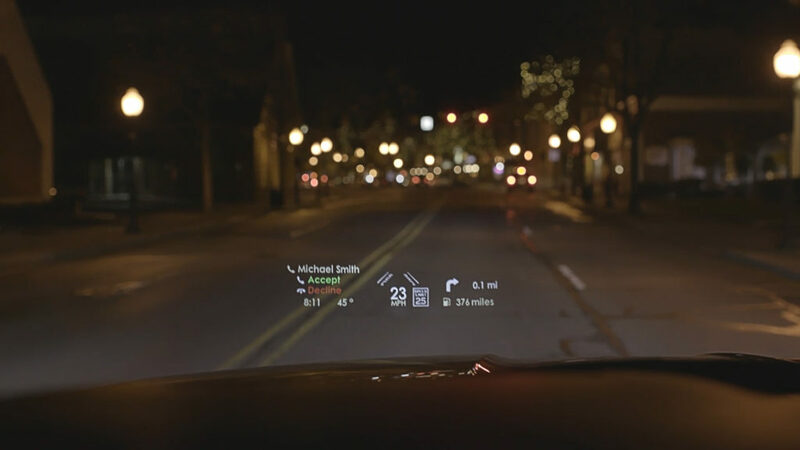 It involves steps like aligning the HUD and ensuring the output isn’t distorted in one of a variety of possible ways. As with the operations described above, check the actual OEM repair procedures on Ford’s Service Info website, not just the version reproduced in the On Target. 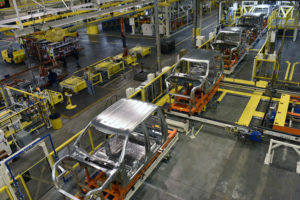 “On Target plans to include more repair information specific to HUD calibration in future issues, focusing on warping compare and service calibration reset,” Ford wrote. If HUDs become a more common feature on luxury vehicles, repairers could be encountering these kinds of procedures more often. If the image is as crisp and intentional as Lincoln claims, then your vehicle owner will probably notice if you didn’t calibrate it properly or if it appears somewhere that obstructs the driver’s vision.